People employed in future production jobs will have an important partner in Artificial Intelligence (AI). The technology is able to quickly and reliably evaluate large volumes of data and provide filtered, context-related results to the operators. Augmented Reality (AR) has proven to be an efficient tool for visualizing this information – in an easy-to-understand way. 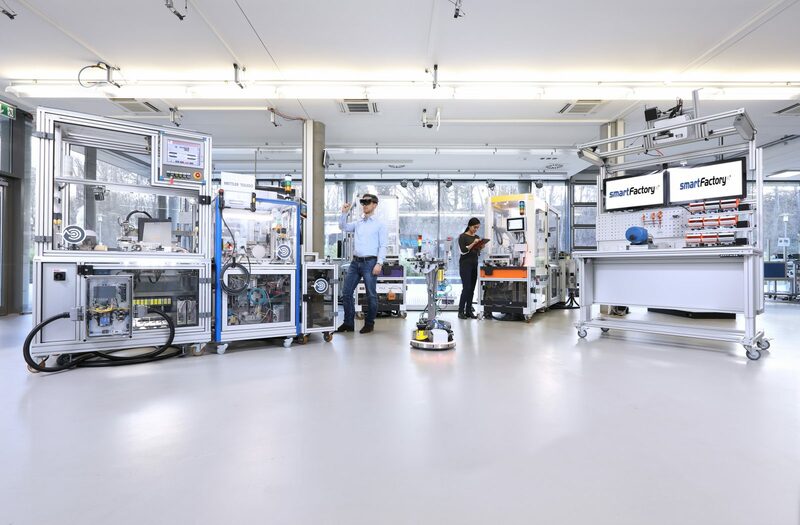 The partner consortium at SmartFactoryKL demonstrates how this technology is implemented using its Industrie 4.0 production plant at the Hannover Messe on April 1-5, 2019. Several scenarios are used to illustrate how quality assurance, condition monitoring, and anomaly detection can be improved through AI. The joint exhibit stand of SmartFactoryKL and German Research Center for Artificial Intelligence (DFKI) is located in hall 8, booth D18. The evaluation of collected data is an important task performed by AI in the production environment. Machine data like pressure, temperature, or flow supply information about the system status and enable condition monitoring. The amount of data generated is far more than a person can quickly evaluate and interpret without technical support. But plant operators can benefit from this data and predict possible system malfunctions once the collected data has been processed by the appropriate mathematical data analytics. The impending failure can be remedied in advance by predictive maintenance, in turn, minimizing plant downtime and repair time. The SmartFactoryKL partner consortium demonstrates Condition Monitoring and Anomaly Detection using the Industrie 4.0 production plant at the Hannover Messe. A new use case was developed for this purpose: The early signals of friction-generated wear and abrasion on a production module can often be heard, for example, in the form of a grinding noise. For demonstration purposes, a malfunction is introduced to the module during operation such that a scraping noise can be heard. The noise environment within the module can be monitored and acoustically recorded to enable evaluation by an AI algorithm. The AI algorithm identifies the noise and assists with the anomaly detection. The ERP system can then create a maintenance order that indicates the type and location of the fault. A service technician receives the information via tablet, smartphone, or even in the display of smart glasses. The need for annoying troubleshooting on the part of the employee is eliminated and the system repair can be quickly implemented before waste is produced or serious technical defects occur. 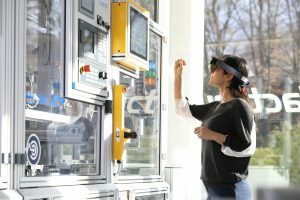 Augmented Reality guides the operator through the servicing procedures at the location, perhaps assisted by data glasses: In this case, the worker sees information and instructions projected in the glasses, leaving both hands free to perform and complete the work steps. The result is a more intuitive and improved issue resolution. AR facilitates realization of the potentials of remote maintenance, for example, allowing an engineer back at the office to support a technician on site. 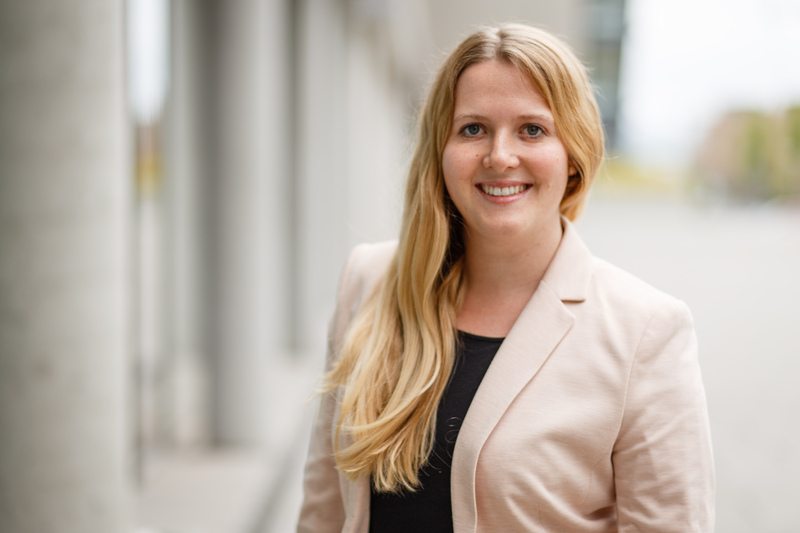 “Predictive maintenance is a good example of how AI supports factory workers. The employee has to interpret the decision support information made possible by AI and initiate the correct work steps,” said Prof. Dr. Martin Ruskowski, Department Head of Innovative Factory Systems research at DFKI and expert in the use of AI for manufacturing. In another use case, SmartFactoryKL shows how an operator can use visualized data on a unit dashboard. “This is an important use case for us. Data visualization represents a simple step in the direction of AI applications which has not yet been pursued by SMEs. Our aim is to supply small and medium-sized companies with practical ideas. Data collection alone is not sufficient. To create added value, we must first derive and visualize useful information and then generate a display screen, for example, when a limit has been exceeded,” said Prof. Dr. Detlef Zühlke, Chairman of the Board of SmartFactoryKL. Another exciting option is the “speech-to-text” application. This AI application can translate a voice command of the operator into text and then search a data base for the required information. In this way, the operator can display the required pages of an assembly or operating instruction from the technical documentation in the data glasses. Say goodbye to the tedious searches through a file binder or text files in a computer folder. The SmartFactoryKL partner consortium is also presenting this use case at the Hannover Messe. The Industrie 4.0 demonstrator partners at SmartFactoryKL are: B&R Automation, Bosch Rexroth, EPLAN Software & Service, Festo, HARTING, Huawei, IBM, KIST Europe, METTLER TOLEDO, MiniTec, PHOENIX CONTACT, Pilz, proALPHA, TÜV SÜD, and Weidmüller. The German Research Center for Artificial Intelligence, with sites in Kaiserslautern, Saarbrücken, Bremen (with an associated branch in Osnabrück) and a project office in Berlin, is the leading German research institute in the field of innovative software technology. In the international scientific community, DFKI ranks among the most recognized “Centers of Excellence” and currently is the biggest research center worldwide in the area of Artificial Intelligence and its application in terms of number of employees and the volume of external funds. The financial budget in 2017 was 45,9 million Euro. DFKI projects cover the whole spectrum from application-oriented basic research to market- and client-oriented design of product functions. 560 employees from 60 countries are currently conducting research focusing on Smart Data & Knowledge Services, Cyber-Physical Systems, Multilingual Technologies, Plan-Based Robot Control, Educational Technology Lab, Interactive Textiles, Robotics, Innovative Retail, Information Systems, Embedded Intelligence, Smart Service Engineering, Intelligent Analytics for Massive Data, Intelligent Networks, Agents and Simulated Reality, Augmented Vision, Language Technology, Cognitive Assistants and Innovative Factory Systems. Impact: more than 130 professorships of former DFKI employees, and more than 80 spin-off companies with approximately 2,500 highly qualified jobs. About the Technologie Initiative SmartFactory KL e.V. The Technology Initiative SmartFactory KL e.V., founded in 2005 as a non-profit association, is an Industrie 4.0 network of industrial and research partners who jointly carry out projects regarding the factory of the future. SmartFactoryKL is a manufacturer-independent demonstration and research platform which is unique in the world. Here, innovative information and communications technologies and their application are tested and developed in a realistic, industrial production environment. The technology initiative, supported by the active participation of its members, has already established pragmatic solutions, first products and common standards. SmartFactoryKL intensively cooperates with the German Research Center for Artificial Intelligence (DFKI) in Kaiserslautern and was appointed Mittelstand 4.0-Kompetenzzentrum Kaiserslautern (SME 4.0 Competence Center) by the German Federal Ministry for Economic Affairs and Energy in 2016.